FAQ: Potential Now List Problem #1 – Money. Lack of. handful of challenges that I’ve identified. Here’s the first of two. If your Now List is anything like mine there probably isn’t an item on the list that doesn’t involve parting with money. 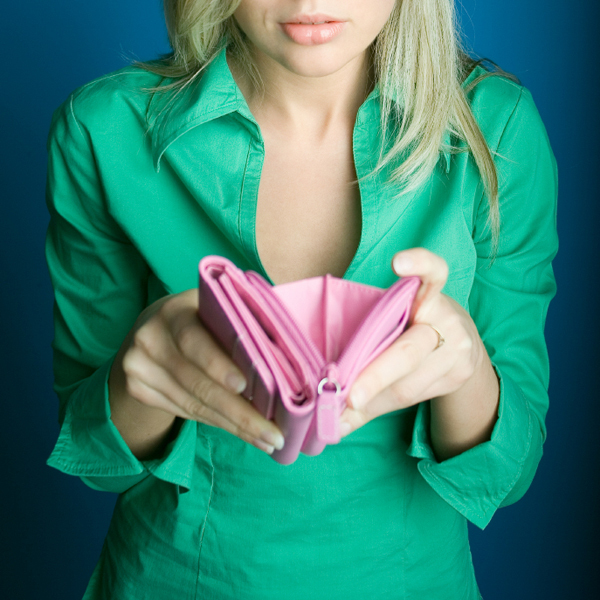 Which is annoying if you’re strapped for cash, or on a particularly tight budget. Now you might be tempted to avoid adding items to your list if they seem financially out of reach, but that would be a mistake – any kind of censorship will only stifle your creativity. Instead, create a Now List category called ‘when I have enough money’ and add them anyway. You might also want to consider starting a ‘Now List Fund’. How you do that is entirely up to you. If you’re like me setting up a ‘fund’ might only involve adding a line to spreadsheet somewhere, but if you’re a normal person, or someone who struggles to manage their finances, it might be better to open a savings account, and maybe even one that doesn’t give you a cash card or internet banking or any other easy way to access your money. You’ll want to put your Now List Fund out of easy reach. You might also need to find creative ways of topping it up. Jules (my long suffering assistant) has a standing order set up to automatically put a small amount into her dedicated savings account each month. Even if you can only afford one pound/dollar/euro/drakma per month it’s one pound/dollar/euro/drakma in the right direction. Personally I top up my Now List Fund whenever I’m given “unexpected” money (eg. if I win a tenner on the lottery or a premium bond pays out). But I also make my Now List available on the blog and on BucketList.org and as a consequence family and friends often consult the list when looking for Birthday or Christmas gift ideas. Enjoyed your post. I’ve just stumbled upon Gretchen Rubin’s blog & book, The Happiness Project – looks quite interesting, and she discusses money and how spending it well can make you happy! Hurrah. Also, I’ve just got round to doing a review on Amazon for your book. Hope you like it. BTW, I couldn’t order the 2nd edition of your book – Amazon kept telling me I already had it, and bought it last year, no less! I will try again. Also thanks for your recent tips on to-do lists. (I left you a reply, but somehow it didn’t post. I’m doomed! Doomed!) All the best. I’ll check out Gretchen Rubin’s blog – that sounds interesting. In the meantime if you’re trying to buy the second edition but your kindle won’t let you, go into your kindle account on amazon’s website, delete the previous version of the book, then try again. At the moment your kindle thinks you’re buying a book you already have.